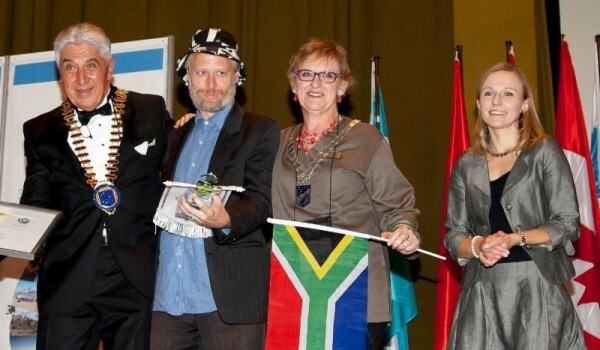 On Thursday the 29th of October 2015, at the 76th Skal International World Congress in Torremolinos, Spain, Coffeebeans received the Skal International Sustainable Tourism award, in the category Tour Operator. The award is further affirmation of our belief that environmental impact starts with social justice. If radical social and economic disparities are reduced, if society becomes more equal, environmental sustainability is a natural byproduct. So the starting point for us is social justice, and our biggest impact is through a responsible approach to how we engage with people, communities and stories, and how positioning new narratives at the heart of tourism starts to level imbalances. When we start to take ownership of the environments we live in (given that so much has been taken away, making us indentured tenants rather than curators), we naturally minimise impact on the natural environment. Read more on our sustainability approach and policies here. The award helps us continue the celebrations of our 10th year in business, and takes to two international awards received in 2015. In April, Coffeebeans won the African Responsible Tourism Award, in the category Engaging People and Culture. We would like to thank all the people who make what we do possible, all the musicians, storytellers, cooks, drivers, designers, artists, guides, thought-leaders, entrepreneurs, brewers, wine makers, historians, ecologists, linguists, poets, troublemakers, mad people, friends and family members. Here’s to another ten years of covering the canvas of tourism with South African stories.